Ten years is a long time to be away from the director’s chair, and for JANG Joon-hwan it feels particularly lengthy as the break follows a debut that left an impression on many. JANG’s Save the Green Planet was far from a success when it was originally released in 2003 but following a few festival appearances and sales to foreign markets, it quickly built a cult following overseas, entering the international cinephile conscious around the same time that Oldboy, Memories of Murder and A Tale of Two Sisters were doing wonders for the reputation of the nascent wave of new Korean films. 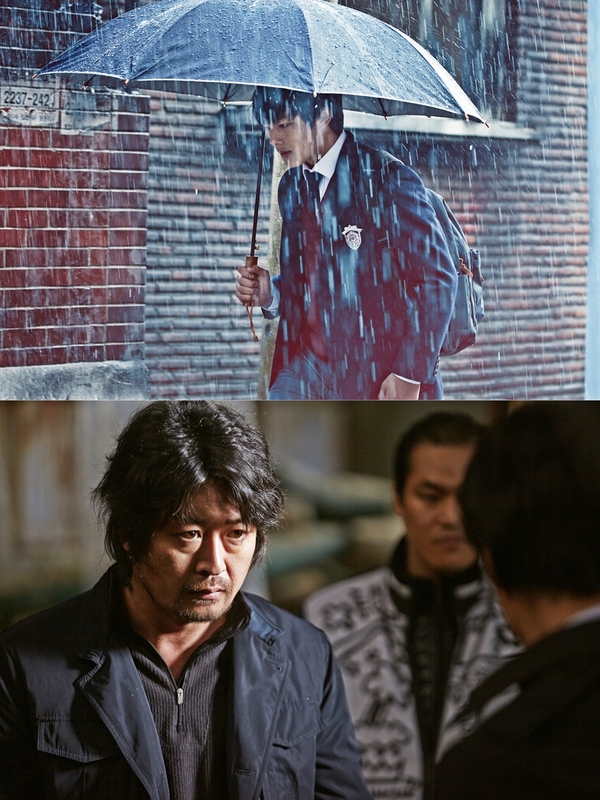 For his long-awaited sophomore work Hwayi: A Monster Boy, JANG has taken a very different approach by employing less diverse genre tropes while still remaining in the broader scope of the thriller genre. The mood is dark, the characters flawed and, as viewers have come to expect from the country’s genre fare, the production values are top notch. Hwayi, a boy living in a farm village, was raised by five fathers who are notorious criminals. One day, the group is commissioned to kill a man named LIM and his wife. While the other member of the group feel something odd about this particular contract, Suk-tae is adamant that they carry out the job with Hwayi in tow. During the job, Hwayi discovers a photograph of a child in LIM’s house. Eventually, Suk-tae hands his gun to Hwayi and he is forced to pull the trigger. He becomes ill after committing his first murder, and begins to realize that the boy in the photograph looks awfully familiar. 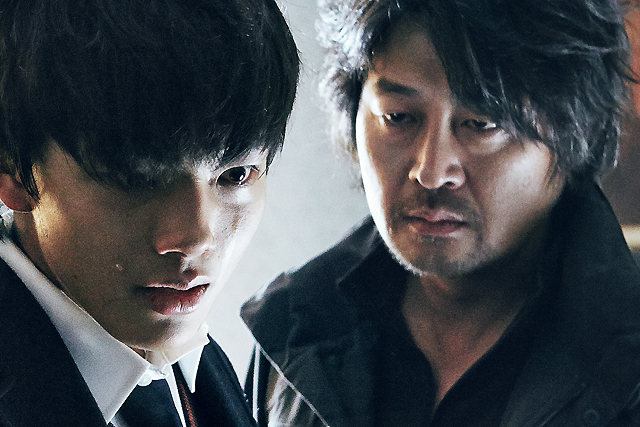 Playing the young boy is up and coming star YEO Jin-goo. Though he started out as a child actor in the film Sad Movie (2005), it’s only in the last few years that YEO has made a name for himself, particularly in the K-drama series Moon Embracing the Sun. In his first big screen leading role, the young star proves himself up to the task and he’s ably supported from a cast that features veteran powerhouse KIM Yun-seok (The Thieves) and character actors such as CHO Jin-woong (The Front Line, 2011) and KIM Sung-kyun (Nameless Gangster). Boasting a strong visual palette and a number of energetic set pieces, Hwayi: A Monster Boy demonstrates the hallmarks that account for the continued appeal of the Korean thriller, both domestically and abroad. It may come as a surprise to anyone expecting another Save the Green Planet, but the intervening decade has done nothing to dull JANG’s visceral style and keen feel for atmosphere and pacing. Given the results here, it’s unlikely that we’ll be made to wait as long for his next offering.